To support other Colleges of Optometry who want to ensure Clinical training at Sankara Nethralaya, Kolkata for their final year students. To ensure the externs undergo skills training with standardised program through proper protocols and procedures that will ensure they possess at least the minimum skill set required in General OPD. 1. Be able to develop skills to provide Comprehensive eye examination. Be able to correct refraction error and provide spectacle prescription. To carry out Ophthalmic investigations. To impart knowledge with regard to common eye diseases. To impart knowledge on treatment modalities from the perspective of counselling. To acquire knowledge about the referral guidelines for Ocular and systemic conditions. 2. Be able to have adequate knowledge to fit, assess, prescribe and dispense Contact lenses for refractive correction. 3. Be able to assess low vision and provide comprehensive low vision care. 4. Be able to do basic binocular vision assessment, help co-manage non-strabismic binocular vision anomalies and make appropriate referral where surgery is warranted. 5. Have knowledge of counselling on Visual/Ocular hygiene, nutritional and environmental modifications. Be able to work independently or in conjunction with other eye/health Care professionals. Be able to work in hospitals (both private and public sectors), Optical Outlets and/or work as independent practitioner. Be knowledgeable, skilful and analytical in diagnosis, treatment planning, management of Visual defects and impairments and in co-management of Ocular conditions. Be public educator on Ocular hygiene and related nutritional and environmental counselling. Offer a helping hand in efficiently managing a Clinic or an Optical outlet. Filled in application forms to be sent through Courier or scanned copies to the Program In-charge at SN Kolkata. Application form to be accompanied by a bonafide certificate from the HOD/ Principal of the College. Candidates will be called for a written test / Personal interview during first week of June. 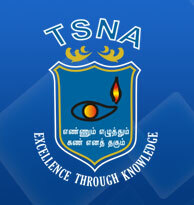 List of provisionally selected candidates would be uploaded in TSNA website on or before 10th June. Selected candidates should pay their fee and confirm their admission on or before 15th June. In case the selected candidate does not join, the seat will be allotted to the next deserving candidate at the discretion of TSNA management. Course commencement date will be intimated to all selected candidates. Attendance is compulsory for all enrolled candidates during course commencement date. All application forms should be accompanied by a Demand Draft for Rs. 500/- payable to Medical Research Foundation, Chennai. Details of the same must be included in application form. Applications without registration fee will not be considered for selection. Note: International students kindly verify with course In-charge before making online payment. On successful completion, a completion certificate of Internship will be given. A separate letter citing their specific areas of skill development will also be given.